Anyone who has been paying attention is well aware that the most devoted promoters of Donald Trump are on State TV (aka Fox News). 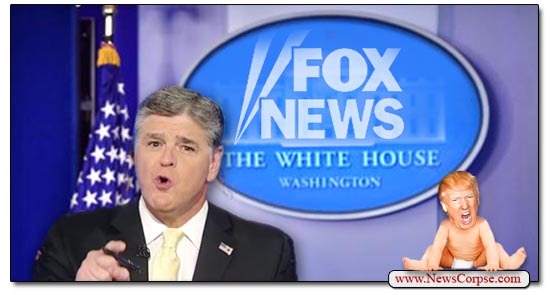 And the biggest Trump fluffer on Fox News is Sean Hannity. He has been relentless in his shameless support for the President with a nightly program that is an hour long prostration to Trump interspersed with vicious and dishonest attacks on his critics. “I ask him about the regular reports that he has daily conversations with the president of the United States — even, it has been suggested, that he is often the last person Donald Trump talks to at night. It’s bad enough that insiders attest to the romantic loyalty of their relationship. It’s something that even outsiders recognize without those reports. After all, Hannity has literally appeared in Trump advertisements. And Trump returns the favor by promoting Hannity on Twitter and granting him “interviews” that are more accurately described as infomercials. Trump even hired Hannity’s ex-producer, and former president of Fox News, Bill Shine, as his Deputy Chief of Staff for Communications at Hannity’s urging. Shine, you may recall, was fired by Fox News for misconduct related to the sexual harassment and abuse by Roger Ailes, Bill O’Reilly, and others. But the most troubling part of the Forbes interview is Hannity’s callous disregard for ethics. His explicit refusal, even delight, with regard to keeping his affairs with Trump secret would be intolerable at any legitimate news network (which lets Fox off the hook). By boasting that he won’t reveal how closely he is tied to Trump he’s making every interaction between them cause for suspicion of collusion and propaganda. It’s unprecedented in journalism or even the sort of political advocacy that Hannity engages in. 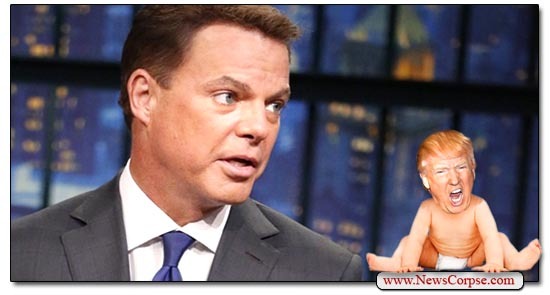 Why is he afraid to tell the truth about his relationship with Trump? Well, we know why. That’s not surprising. Why would Hannity care that he’s a propaganda tool for the administration? Or that he’s disseminating lies and crackpot conspiracies that hurt innocent people? Or that he’s breaching journalistic ethics? He’s actually doing all of that deliberately. Those are pretty much the entire purpose for his existence. And for the existence of Fox News, for that matter. Which is precisely why Fox will not fire Hannity, no matter how much it is required by principle and morality.